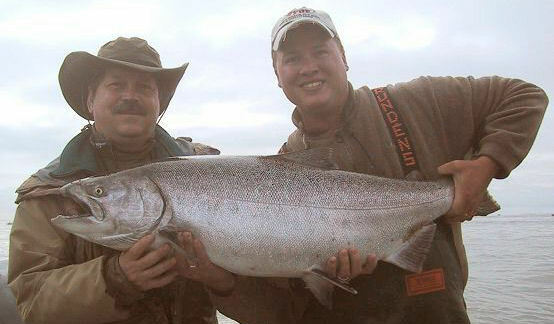 40 pound Columbia River Chinook Salmon! 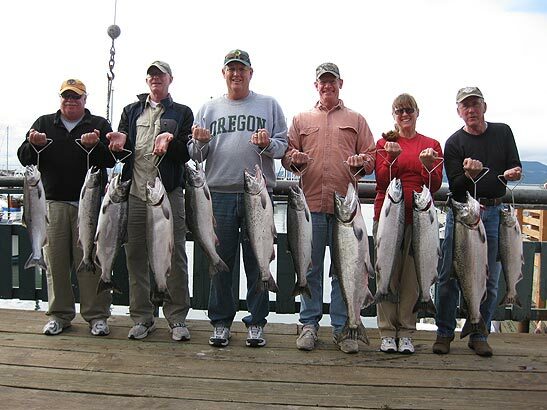 Fall Chinook are the largest of all our Columbia River Salmon, they start entering the river at the beginning of August and the peak of the run occurs during the middle to end of August. 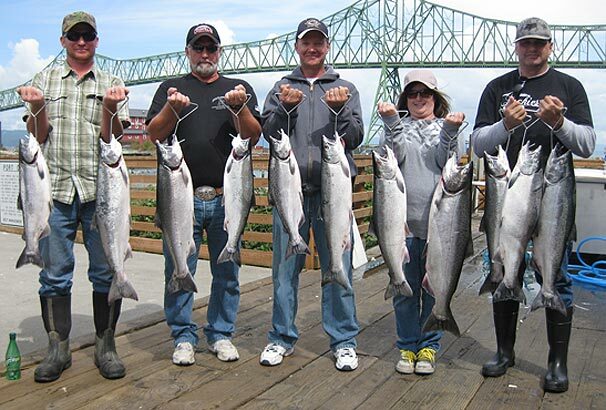 Many of these fish are destined for lower Columbia River tributaries such as the Cowlitz, Kalama and Lewis Rivers. Others are headed to Idaho streams or to the section of the Columbia River known as the Hanford Reach. Columbia River Fall Chinook can be separated into two general sub-species of Chinook; the Tule Chinook and the Upriver Bright Chinook. 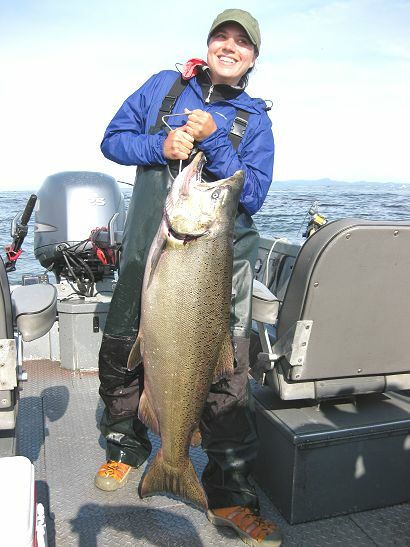 The above picture is a perfect example of a Tule Chinook. This fish is a male (also known as a buck) and is fresh from the Pacific Ocean. Notice the bronze color and light pink belly? These fish are spawning in rivers that flow into the lower Columbia below Bonneville Dam. Since they don't have far to swim, their bodies start to enter spawning mode and change color quickly after entering fresh water and sometimes start to change even while they are in the ocean. These fish are aggressive biters and put up a powerful fight! Here is a large Upriver Bright also fresh from the ocean. These fish get their name from where they are headed to spawn, which is "Up River" of Bonneville Dam. The majority of these fish are destined for the Hanford Reach section of the Columbia River but many will head up the Snake River to Idaho as well as Oregon's Deschutes River. 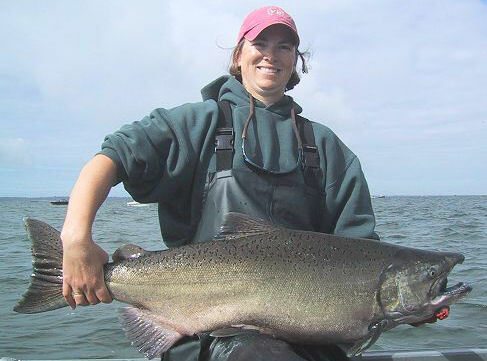 Because these fish have so far to travel before they spawn, their bodies retain their bright silver color for a much longer period than the Tule Chinook.